Relevant to all sizes of organisations, this book addresses the social, legal, financial, organisational and ethical issues faced by IT professionals. It is designed to accompany the BCS HEQ ‘Diploma in IT’ core module: Professional Issues in Information Systems Practice. This new edition takes into account the social and legal implications of the substantial changes to legislation and technology over recent years, for example cloud computing, the Digital Economy Act and the Equality Act. Frank Bott was Head of the Computer Science Department at Aberystwyth University in Wales, and now lectures there part-time. Before that he was a visiting professor at the University of Missouri and worked in the software industry. He has published extensively on software engineering and professional issues in IT. 3 What is an organisation? 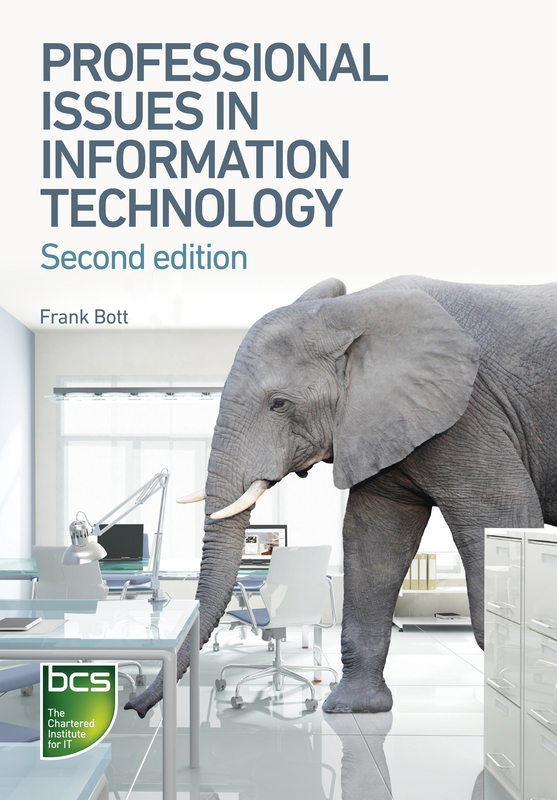 This is an essential read for IT professionals needing to know the latest legislation and technological advances. It is well written, providing extensive information with clear examples. Few books provide such a comprehensive treatment of professionalism in IT. Not only is there thorough coverage of professional issues, but these are set in a business context and wonderfully illustrated by numerous case studies. This book should be read […] by everyone working in the industry.